A new book is to be released in 2012 entitled Red White and Who - The Story of Doctor Who in America; edited by Arnold T. Blumberg, Steven Warren Hill, Jennifer Adams Kelley, and J. Shaun Lyon, the book aims to be the definitive guide to Doctor Who fandom in America, from its origins through to modern-day forums and fan groups. Facebook: you can find them on their dedicated page here. Website: the book's website is at www.redwhiteandwho.org. Email: you can email the editors at redwhitewhobook@gmail.com. PRINTED MATERIAL/PHOTOS: Scanned jpegs or PDFS (1:1, 150dpi/b&w, 300dpi/color). E-mail them after initial contact, share via an online sharing site, or mail on CD/DVD. If you can’t scan, you can mail photocopies. If you must mail photos, we recommend duplicates; we cannot guarantee condition of photos after submission. AUDIO/VIDEO: MP3/AIFF files and any video format can be e-mailed, shared or sent on CD/DVD and other physical formats. MAILING ADDRESS: Send all physical submissions to Red White and Who, P.O. Box 975, Skokie, IL 60076-0975 USA. PLEASE NOTE: With ALL submissions, please include full name, mailing address, and e-mail address. A phone number would also be useful. All contributors will be credited in the final volume if we use your material; any personal photographs will also be properly noted on the copyright page. All copyrights remain your own. Submission of material constitutes an agreement that you accept printed credit as compensation for your submission. Even though ratings for the first few episodes of Torchwood: Miracle Day have proven reasonable for both Starz and the BBC, this has never been a guarantee that a fifth series of the show will automatically be commissioned. Torchwood is not one of the shows we went into thinking about a yearly return. It’s about Russell T Davies - he has a lot of things on his plate. If Torchwood is not at the top of his list, that will affect the future of Torchwood. It's interesting as to how long I can stay in the science fiction world. Personally I think I'm coming to the end of it now and I've saved the world and blown up the world too many times, and I hope I leave Torchwood in rude health, and then I'll probably move onto something else then. It's time to write something just where people talk in kitchens, at least for me. But I hope we literally leave the franchise in in a very strong position that other writers come in and take it over. Subsequently, Davies has been reported as developing a new show for Showtime, entitled Cucumber. However, with over half of Miracle Day still to be transmitted (episode four, Escape to L.A., premiering tonight on Starz), Torchwood's future cannot be written off quite yet! Next Time: Escape to L.A.
Next Thursday (4th August) sees the fourth episode of Torchwood: Miracle Day premiering in the UK, with Escape to L.A. being broadcast at 9:00pm on BBC1/BBC1HD. The episode will also be repeated on BBC2/BBCHD the following Monday at 11:20pm, and available to watch online in the UK via the BBC iPlayer until 23rd September. The fight against PhiCorp takes the Torchwood team to California, where a trap is waiting. Meanwhile, Oswald and Jilly find themselves with an enemy of their own. The BBC have made a preview clip available to watch on the BBC iPlayer and YouTube; Starz have also released their own preview on YouTube. Alternatively there is a YouTube version. Torchwood: Dead of Night achieved an average audience of 4.2 million viewers on BBC One and BBC One HD, according to unofficial overnight figures. The third in the series had 18.8% of the audience share and was the 7th most watched programme of the day. It won the 9pm timeslot, with Single Handed on ITV1 watched by 3.1 million viewers. The final ratings for Dead of Night will be released next week and will include those who record the programme and watch it within seven days. Mondays late night repeat of episode Two Rendition had 0.4 million watching. Initial audience figures released for Dead of Night shown on Starz last Friday indicated that 1.1m viewers watched over its opening night; the premiere broadcast at 10:00pm was watched by 636,000 viewers, with its 11:00pm repeat seen by 382,000. This compares with an average of 976,000 viewers for Rendition's opening night. A new video looking into the world of Doctor Who Fandom has just been released. The movie FANZ, by Marq English covers many facets of being a Doctor Who fan, including conventions, fan films, costumes, merchandise and the new series. BBC Television's Doctor Who is the world's longest running science fiction TV series and over the years, has built up a loyal and passionate fanbase around the globe. This feature length movie documents the weird, wacky and wonderful world of Doctor Who fandom. With the impact of the new series in 2005, it has never been a better time to embrace the affection this unique programme generates. The film covers the vast spectrum of fandom including conventions, fan fiction, artwork, merchandise, the internet, professional fans and the dedicated following of Doctor Who. The video features contributions from J Jeremy Bentham, David J Howe, Steve O'Brien, Justin Richards, Lawrence Miles, Dan Harris, Alistair Lock, Stuart Robinson, Stephen James Walker, Erica Egertonm, Toby Hadroke, Athena Stamos, Neil Oseman, Rob Tizzard, Nick Scovell, John Paul McCrimmon, Rosie Grant, Gareth Preston, Adam Manning, Alison Manning, Steve Hatcher, John Davies, Gwyn Jeffers, Tom Golding and Louise Jameson. The new Doctor Who Magazine takes a look at Torchwood: Miracle Day with behind the scenes to talk to the cast and crew of this extraordinary adventure, including stars John Barrowman (Captain Jack), Eve Myles (Gwen Cooper), Mekhi Phifer (Rex Matheson), Alexa Havins (Esther Drummond), Kai Owen (Rhys Williams), Lauren Ambrose (Jilly Kitzinger) and head writer and creator Russell T Davies. DWM asked John Barrowman, could Jack ever return to Doctor Who? Yes, I want to come back! The beautiful thing about Doctor Who is, it’s time travel. Matt’s Doctor could go back before Jack met his Doctor. Or Matt’s Doctor could meet a darker Jack...? That’s fine too. There are ways to do it. When he’s in Doctor Who, Jack is very different to the Jack that’s in Torchwood. Everybody knows my love of Doctor Who, and I would do it at the drop of a hat. Called to Action - Five remarkable individuals joined the Doctor in his fight against Amy’s kidnappers in A Good Man Goes To War – but could they return to help him again? Find out as DWM talks to the actors who played them: Simon Fisher-Becker (the ‘fat, old, and blue’ Dorium Maldovar), Neve McIntosh (Silurian warrior Madame Vastra), Catrin Stewart (Victorian maid Jenny), Dan Starkey (lactating Sontaran Strax) and Christina Chong (forest-dwelling soldier Lorna Bucket). Masterpieces - It was the season that gave us Axons, Dæmons and Autons... and which introduced the Doctor’s arch-enemy, the Master! DWM takes a nostalgic look back at the adventures of the Third Doctor, Jo and the Brigadier in 1971’s Series Eight, as Countdown to 50! continues. Time for a Shock - As Amy and the Doctor struggle against the ravages of time, they’re shocked when an old enemy appears… Don’t miss the thrilling final chapter of the latest comic strip adventure, Apotheosis, written by Jonathan Morris with art by Dan McDaid! Roy's Roles - DWM pays tribute to the late Roy Skelton, the versatile actor who was the voice of dozens of characters, including the Daleks and Cybermen in Doctor Who... and Zippy and George in Rainbow. PLUS! All the latest official news, TV and merchandise reviews, previews, competitions and a prize-winning crossword. After months of anticipation, the international version of the BBC iPlayer service has been launched today for Apple iPad users in parts of Europe. The application enables those in Austria, Belgium, France, Germany, Italy, Luxembourg, Ireland, The Netherlands, Portugal, Spain and Switzerland to watch a variety of programming from the BBC's archive, including Doctor Who. I'm proud that we're one of the first international broadcasters to give access to our shows in a perfectly packaged app. This launch is an important route to market in our strategy of pursuing multiple platforms for our programmes and brands, taking British programmes to new digital audiences around the world. Today marks a significant next step on a digital journey that has already seen 12m BBC Worldwide apps downloaded across brands as diverse as Lonely Planet and Good Food. Based on the soaring success of the UK's pioneering BBC iPlayer service, the app combines technical innovation with editorial creativity to transport users to the heart of the BBC and British television and on a journey of discovery, wherever and whenever they want. We have an exciting vision for what this service could become and will develop it based on feedback from within the markets. The video-on-demand service, which will cost €6.99 a month, or €49.99 annually, differs from the UK version in allowing both online streaming and downloading for offline viewing of programmes. As well as Doctor Who, subscribers will have access to many series, including Fawlty Towers, Sherlock, Luther, Eastenders, Only Fools and Horses and Top Gear - programming is expected to expand weekly. Meanwhile in Australia, technology manufacturer Samsung have announced that their Smart TV and blu-ray players will be able to utilise a new application to access ABC's iView on-demand service, enabling access to programmes like Doctor Who, Angry Boys and Spics and Specs; BBC News will also be available as a streaming service. Samsung is committed to delivering a wide range of local and international content direct to Australian homes through Samsung Apps. Samsung Smart TVs and Blu-ray players are changing how consumers perceive the TV experience in their home. Writer Tom MacRae spoke to the Northampton Chronicle about his forthcoming episode for Doctor Who, which has now been named by the BBC in a recent roundup on their Doctor Who website. The following gives some details about episode which might be considered a spoiler. I went down onto the set quite a lot and it was great to see it filmed. It’s a real tear-jerker of an episode and it’s very much focused on Karen. Her acting in it is amazing. I know she’ll break the viewers’ hearts in two when they watch it, it’s so emotional. It’s wonderful writing for Matt, he’s such a fantastic actor and a genuinely lovely guy. He’s about the same age as me, we’re from the same town and we’ve got a lot of friends in common, so it was great to work with him. And as The Doctor, I admire him so much. I’m a huge fan of what he’s done on the show, I would say he’s 'my Doctor'. The fifth edition of Doctor Who Insider will be available in North America from 4th August. riding my bike through Warner Brothers and people are going "heyyyy!" SPACE AGE SAVAGE: It’s been over 30 years since Louise Jameson played scantily‐clad Leela opposite Fourth Doctor, Tom Baker, but the series is still part of her life, as she tells Insider in the first part of an exclusive interview. NEW TRICKS FOR AN OLD DOG: Visual effects designer Mike Tucker tells Insider how the Doctor’s faithful robot dog, K9 was given a new lease of life in the Tenth Doctor adventure, School Reunion. I WAS... OMEGA: Actor Stephen Thorne tells Insider how he was the unseen face, but unforgettable voice, behind three of the Doctor’s greatest foes – including the legendary Time Lord, Omega. NEXUS POINT: We examine the moment when the renegade Second Doctor was finally captured by his own people, the Time Lords and put on trial for interfering in the affairs of others. DATA FILE: We take a look back at last year’s Victory of the Daleks in which the Eleventh Doctor met Churchill and encountered his arch enemies for the first time. TIME SCOOP: Trapped in the Time Scoop this issue are the unstoppable Cybermen who have fought the Doctor in many of his incarnations. MERCHANDISE: Previews of the latest Doctor Who merchandise, including Paradise Towers and The Sun Makers on DVD, featuring an interview with Michael Keating who played Goudry in The Sun Makers. We talk to the authors of the 150th Doctor Who audio drama release from Big Finish Productions and look back on the best audio stories of the past. Author George Mann reveals how he sent the Doctor on a time‐twisting adventure in Edwardian England in his new novel, Paradox Lost. David J Howe rounds up the latest Doctor Who merchandise and takes a look at the latest figures from Underground Toys. PLUS! The latest official news and a giant, double‐sided poster of Captain Jack and Victory of the Daleks. For subscription information, visit the USA or UK websites. A special 84 page edition of Doctor Who Insider featuring the best of issues 1-4 will be released in the United Kingdom on 28th July. THE STARS OF DOCTOR WHO 2011: Exclusive interviews with regular cast members Matt Smith (the Eleventh Doctor), Karen Gillan (Amy Pond), Arthur Darvill (Rory Pond), and Alex Kingston (River Song). GUEST‐STARS PAST AND PRESENT: Insider speaks exclusively to Doctor Who guest‐stars from all eras of the show’s long history, including: Stuart Milligan (President Nixon), Mark Sheppard (Canton Everett Delaware III), Jacqueline Pearce (Chessene), Frances Barber (Madame Kovarian), Dan Starkey (the Sontarans), and Christopher Benjamin (Henry Gordon Jago). Plus Katy Manning who was Jo Grant, companion to the Third Doctor. BEHIND‐THE‐SCENES FEATURES: We talk to Doctor Who’s current production designer, Michael Pickwoad, who tells us how he created Christmas on another world for 2010’s A Christmas Carol. Plus, we discover how the Doctor’s old foes were given a new lease of life for the Doctor Who Experience in London. NEXUS POINT: We examine some pivotal moments from the Doctor’s adventures, including Pyramids of Mars and The Parting of the Ways. DATA FILE: All the Doctor’s greatest foes gathered to entrap him in The Pandorica Opens. Our guide shows you who exactly was there for this momentous occasion. TIME SCOOP: Three of the Doctor’s greatest foes – the Sontarans, the Silurians, and the evil creator of the Daleks, Davros are all caught in the Time Scoop as we present a visual guide to their various encounters with the Doctor. PLUS! 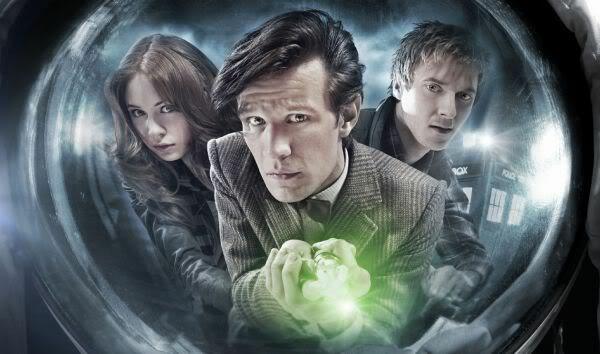 A double‐sided poster of the Doctor, Amy and Rory, and The Pandorica Opens. Episode One of Torchwood: Miracle Day had a final official rating of 6.59 million viewers according to figures released by BARB. The programme was the 8th highest rated on BBC One for the week. The final result includes those who recorded the programme and watched it within 7 days. It does not include those watching on iPlayer. The rating is almost exactly the same as the first episode of the last series of Torchwood, Children of Earth, which had a final rating of 6.47 million on BBC One with an additional 0.13 million watching on BBC HD. Meanwhile Episode Two had an AI score of 85, the same as that for Episode One. For every year since 2001 the Guardian has released the Media 100 - a list of who they consider are currently the most powerful people in the UK Media; candidates for the list are judged on cultural influence, economic clout and political power over the course of the last year. Steven Moffat is one of a select band of writers and producers who is almost as famous as the stars who appear in his shows. Not content with being the showrunner on the BBC's biggest-selling global hit, Doctor Who, he was also the co-creator, along with League of Gentlemen star Mark Gatiss, of one of BBC1's most acclaimed new dramas of last year, Sherlock. 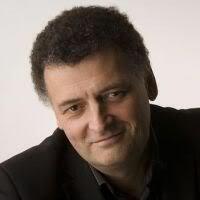 Moffat, a long-time Whovian, began his TV career with the Bafta-winning children's show Press Gang and was best known for BBC2 sitcom Coupling before taking over from Russell T Davies on the time-travelling show. He also co-scripted new Steven Spielberg film, The Adventures of Tintin: The Secret of the Unicorn. 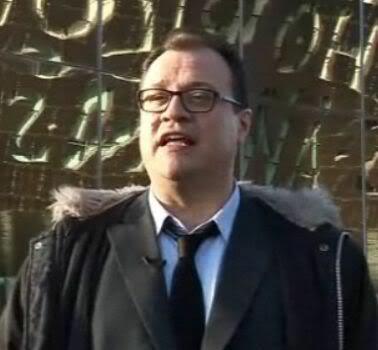 Moffat's predecessor Russell T Davies was a regular in the chart when he was overseeing Doctor Who, entering the chart strongly for his 2004 involvement in bringing the series back at number 14 in the 2005 list, followed up by 28 (2006), 15 (2007) and 31 (2008). The Doctor himself has also appeared in the past, represented by actor David Tennant who was listed as number 24 in 2007. The list is drawn up by a panel of judges, which this year included Lorraine Heggessey, the BBC1 controller responsible for the decision to bring Doctor Who back into production during 2003 (and herself ranked 46/54 during that period). BBC America have confirmed that Doctor Who will return to the channel on Saturday, August 27th at 9/8c when the series continues with Let's Kill Hitler, written by Steven Moffat and directed by Richard Senior. The BBC will not confirm a UK date for the return until much nearer the date of transmission, but a showing in the early evening of Saturday 27th is very likely. The BBC have released a trailer for the second half of Series Six, which returns to BBC1(HD) later this year; the trailer premiered at the San Diego Comic Con event taking place this weekend. The series is also featured in the new Original British Drama trailer (34 seconds in), which includes other productions like The Body Farm, The Hour, Spooks and Page Eight. Karen Gillan had told the website Zap2it that she is staying with Doctor Who for the foreseeable future and will be returning as Amy Pond for the next series of the show which goes into production at the end of the year. Doctor Who has been commissioned for a further fourteen episodes following this year's Christmas Special, and previously only Matt Smith was known to have been contracted for the run. Gillan was interviewed at Comic-Con and when asked if she would be returning she said, "I am going to come back, yes,That's the first time I've said that today". The 33rd series will be the seventh full series since the show returned in 2005. It is due to be shown during 2012 and 2013.